North Korea's elaborate game of chicken with U.S.
Kim Jong Un’s latest threats against the United States may be even more apocalyptic than Kim Jong Il’s. But the Obama administration still believes the young North Korean leader is reading from a page in his father’s playbook. U.S. officials can’t guarantee the North Koreans will play it this way now. They do fully expect some type of tactical action from the North in the form of anything from a nuclear test to a computer hacking to a shelling of South Korea. But they point to natural biorhythms in North Korea that suggest the regime cannot sustain the current tempo. With the spring planting season approaching in a few weeks, North Korean soldiers will have to return to their fields and the regime will be forced to choose between target practice on paper maps of the United States and feeding their people. 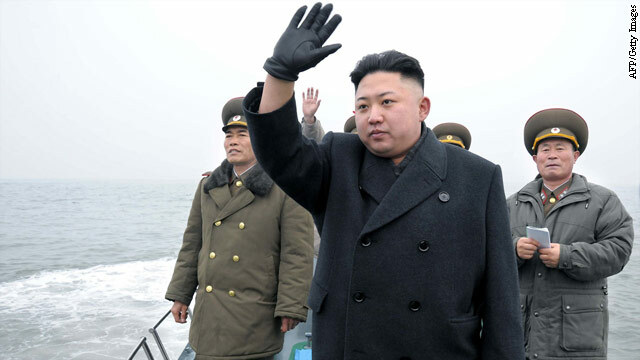 Generally, dictators are not suicidal, and officials believe Kim Jong Un is no different. Since his main goal seems to be staying in power, officials feel he probably realizes incurring the wrath of the world’s most powerful military might not be the smartest move. Officials and analysts say his father knew where the line was. Yet, because the U.S. can’t be sure exactly what the regime is up to and isn’t sure Kim won’t make a dangerous miscalculation, Washington has had to act protectively. The U.S. bolstered military exercises with South Korea with shows of force that included overflights by nuclear-capable B-2 stealth bombers, massive Cold War-era B-52s and F-22 Raptor stealth fighters. And as North Korea’s threats grew more ominous, the U.S. started moving warships closer to the North Korean coast. In large part, these moves were about sending a message to the region that the U.S. will defend its ally, South Korea. But as tough as those steps are, officials call them modest. The U.S., they said, could have dispatched a nuclear-armed warship to combat the North’s latest threat. Instead, in an effort to preserve a chance for diplomacy once Kim’s latest temper tantrum is over, the administration has gone to great lengths to make clear its military moves are purely defensive in nature. “We had to take steps. We have an untested leader, operating at a faster provocation pace than his father did without any indication he knows when to step back,” another senior administration official said. Officials predict a natural pivot point to diplomacy as the U.S. and South Korean military exercises wind down at the end of April. Secretary of State John Kerry travels to Asia next week in advance of a visit to Washington by South Korean President Park Geun-Hye. China, having just installed a new party leadership, is sure to send officials to Washington for talks in advance of the annual U.S.-China strategic and economic dialogue this summer. Standing next to the South Korean foreign minister Tuesday, Kerry himself was forward-leaning on the prospects for diplomacy. Even as he pledged that the United States was ready and able to protect itself and its ally Seoul in the face of North Korea’s threats, he spoke of the goal of improved relations between the Koreas and said the U.S. was prepared to return to the table with North Korea, should the regime decide to quit its antics. That’s not to say the U.S. or South Korea is talking about some sweetheart deal for North Korea anytime soon. Nobody has been particularly optimistic about engagement, ever since Kim Jong Un took office and violated the so-called Leap Day agreement to suspend its nuclear-weapon and long-range missile testing in exchange for food aid. Administration officials said they would expect the hiatus in efforts to get North Korea back to the table for multilateral disarmament talks to continue. But John Park of the U.S. Institute for Peace warns that falling back on old analyses of North Korea’s behavior is dangerous. Pyongyang’s recent statements that its nuclear program was not a bargaining chip, he warns, suggest that North Korea is on a new course that has it intent on becoming a nuclear power. More: Should the world really worry? Hi. I would love to add this to my diet plan. Now that I simply acquired baby#2 and have established breasts feeding it’s so important to watch what you take in. As a breasts feeding mom it’s my job to ensure my babies get a healthy start to their existence with only a small amount toxins as feasible. Also for me, I need to make sure my husband and I take care of ourselves so that we are able to be healthy role versions for our munchkins. The various other bonus to this product is that it supports our regional farmers. :).Fingers crossed. China is pushing NK while assessing the strength of the new US team (i.e. state, defense) and Obama. They know that the US under Obama will pause first and just are assessing how far they can go. As we can see, Obama is already backing away. Oh for a Reagan again to lead this country. Who are we to put sanctions on another country? That's why they hate us. It's not the way to make friends. Instead provoke them into a war, so we can drop cluster bombbs on them. Lets try removing all the sactions, and then a preemptive strike if it doesn't work. If I was driving a Fiat, I would NOT play "chicken" with an 18 wheeler !! I think,that United States need atack now this evil state with our mighty power.God bless America! It's easy. Get the GI Joes to abduct the kid (Kim Kong Kong) and send him to Disney Land for indoctrination. so we gonna give into the kid throwing the temper tantrum? fter 60 years of being divided – something needs to blow. "Generally, Dictators are not suicidal" – this is generally true. But look at history. Hitler was a dictator and thought he could win the war against the Allies. So he went ahead and invaded Poland and started WWII. What is Kim thinking ? He may be crazy enough. Or Saddam Hussein's invasion of Kuwait on misjudgment of US "signals". Better safe than be sorry. North Korea has humongous conventional firepower and a motivated, brainwashed fanatical army (de ja vue – the Nazis). They are not going to be patsies like the Iraqis. They can create a big mess in that area even if they will lose in the end. That is the precautionary balance US is taking and it's the right approach.